During the week between July 6th and July 13th 1975, Ferraro built an underwater village on the seabed facing the promontory of Portofino in order to prove that even with the minimum resources, it is possible to deal with the problem posed by extended underwater permanence to the extent of fulfilling the financial limits that make the work profitable while still remaining within adequate safety levels. He was supported by the superior fire fighter authorities, who mobilised approximately 60 men, from Officials, Instructors and Trainees from the VIII Diving Course as well as a significant number of nautical resources. The village comprised of three buildings, of different types and structures, which were placed at a depth that ranged between 10 and 30 metres, anchored to seabed rocks using steel chains and cables. They were equipped with systems allowing the exchange of air, lighting and interphone. Besides fire fighters, representatives from the diving forces of the Carabinieri, the Police, the Financial Police and Technisub technicians also took part in this experiment. The company Saipem sent its "Ragno" (Spider) ship. Representatives from the university science departments were also present and they included Professors Paolo Colantoni, Damiano Zannini, Angelo Stefanon, Francesco Cinelli, Lamberto Ferri-Ricchi, Beppe de Renzi and many others. Duilio Marcante worked in the farm yard of the "submerged village" using a seaweed mower of his invention. Eng. Pucciarini, who was a colleague of Ferrero since the days of the X Mas, piloted an SLC in person, which was commonly known as "maiale" in the version built by his company, Cosmos. The Italian Public Broadcasting Service (RAI) was present with Paolo Valenti, who broadcast live for over three hours from a platform built by fire fighters on the reef of Portofino. 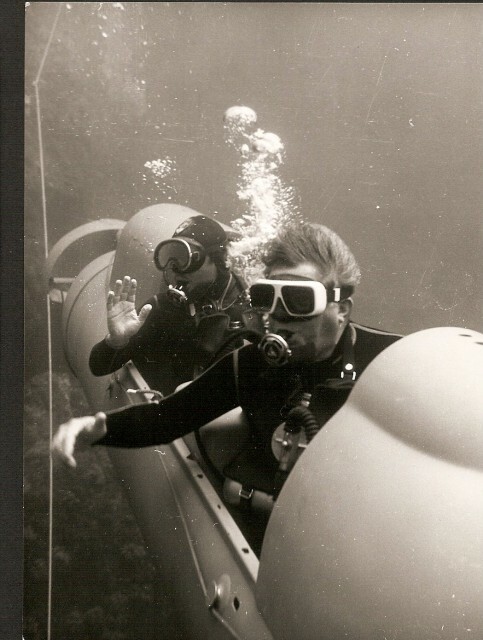 The operation was also defined as "TWENTY THOUSAND HOURS (OF WORK) UNDERSEA", with reference to the large number of hours spent by all divers for the preparation and implementation of the project. The realization of "Portofino's Underwater Village", proved that it was possible to create and use an authentic residential unit, at a depth of 50 metres, equipped with everything required for long permanence.